This paper presents a social critique of the conservatism as an ideology or a way of thinking through Pierre Bourdieu’s relational sociology. It is argued that the established definition of the conservatism cannot analyze the holistic reality of the concept since it does not take into account of the conservatism as a set of dispositions. In addition to that, having the political discourse and cultural products as the only legitimate unit of analysis, the established definition of conservatism constructs an abstract actor whose link with the social world is essentially intellectual. Against the limits of the commonsensical definition of conservatism, this paper interrogates the merits of Pierre Bourdieu’s sociology. It first introduces the key conceptual tools through which the French sociologist constructs the social world as a social topography. The paper explains both objectivist and subjectivist moments of research object construction. It also underlines the role of symbolic struggles in the formation of social world. Finally, this study develops a dispositional definition of conservatism as the symbolic form that the principles of vision and division gain within the struggles of various fields. The merits of the dispositional comprehension of conservatism are compared with the existing empirical definition of conservatism as a set of cultural values. Bu makale Pierre Bourdieu’nün ilişkisel sosyolojisi üzerinden, bir ideoloji ya da düşünce tarzı olarak muhafazakârlık tanımının toplumsal eleştirisini sunuyor. Muhafazakârlığın yerleşik tanımı kavramın stratejik ve eğilimsel boyutlarını gözardı ettiği için, bütünlüklü bir analiz için elverişli değildir. Buna ek olarak, siyasi söylemleri ve kültürel ürünleri tek meşru analiz birimi olarak görmesi nedeniyle, muhafazakârlığın yerleşik tanımı soyut bir özne inşa eder ve bu öznenin dünyayla kendiliğinden entellektüel bir ilişki kurduğunu varsayar. Bu çalışma, yerleşik muhafazakârlık tanımının sınırlılıkları karşısında Pierre Bourdieu sosyolojisinin sunabileceği meziyetleri sorguluyor. İlk olarak, Fransız sosyoloğun toplumsal dünyayı bir sosyal topografi olarak inşa edebilmesini mümkün kılan temel kavramsal araçlar tanıtılıyor. Ardından bu kavramsal araçlarla girişilecek nesne inşasının hem nesnel hem de öznel uğrakları tartışılıyor. Sembolik mücadelelerin toplumsal dünyanın teşkilinde oynadığı rolün altı çiziliyor. Son olarak, sosyal görme ve bölme ilkelerinin çeşitli alanlarda verilen mücadeleler neticesinde büründüğü sembolik form olarak muhafazakârlığın eğilimsel tanımı geliştiriliyor. Muhafazakârlığın kültürel değerler temelli mevcut ampirik tanımı karşısında geliştirilen eğilimsel yaklaşımın sınırlılıkları ve imkanları tartışılıyor. Muhafazakârlık, Pierre Bourdieu, eğilimler, ideoloji, kuram. Bourdieu, P. (1984). Distinction: A social critique of the judgement of taste. Massachusets: Harvard University Press. Bourdieu, P. (1986). “The Forms of Capital”. Richardson J. E. (Ed.). Handbook of theory of research for the sociology of education, in (pp: 46-58). New York: Greenwood Press. Bourdieu, P. (1990a). The logic of practice. Stanford: Stanford University Press. Bourdieu, P. (1990b). In other words: Essays towards a reflexive sociology. Stanford: Stanford University. Bourdieu, P. (1991a). First lecture. Social space and symbolic space: Introduction to a Japanese reading of distinction. Poetics Today 12(4), 627-638. Bourdieu, P. (1991b). Language and symbolic power. Polity Press: Malden, pp. 163-170. Bourdieu, P. (1991c). Genesis and structure of religious field. Comparative Social Research, 13, 1-44. Bourdieu, P. (1994). Sociology in question. London: Sage Publications. Bourdieu, P. (1996). The state nobility: Elite schools in the field of power. Cambridge: Polity Press. Bourdieu, P. (1998). Practical reason. Stanford: Stanford University Press. Bourdieu, P. (2000). Pascalian meditations. Stanford: Stanford University Press. Bourdieu, P. (2004). Algerian landing. Ethnography, 5(4), 415-443. Bourdieu, P. (2014). On the state. Malden: Polity Press. Beneton, P. (2011). Muhafazakarlık. İstanbul: İletişim Yayınları. Bora, T. (1998). Türk sağının üç hali: Milliyetçilik, muhafazakarlık, islamcılık. İstanbul: Birikim Yayınları. Brennan G. & Hamlin A. (2004). Analytic conservatism. British Journal of Political Science 34, 675-691. Burke, E. (2009). Reflections on the revolution in France. Oxford: Oxford University Press. Durkheim, E. & Mauss, M. (1963). Primitive classification. Chicago: The University of Chicago Press. Durkheim, E. (1976). The elementary forms of religious life. London: George Allen & Unwin Ltd.
Durkheim, E. (1982). Rules of sociological method. New York: The Free Press, pp. 211-229. Fein, K. (2011). Conservatism: A state of the field. The Journal of American History, 98 (3), 723-743. Habermas, J. (1989). The new conservatism: Cultural criticism and the historian’s debate. Cambridge: Polity Press. Heywood, A. (1992). Political ideologies: An introduction. New York: Palgrave Macmillan. Kekes, J. (1998). A case for conservatism. Ithaca: Cornell University Press. Kirk, R. (1995). The conservative mind: From Burke to Eliot. Washington D.C.: Regnery Pub. Lee, M. J. (2014). Creating conservatism: Postwar words that made an American movement. Michigan: Michigan State University. Medvetz, T. (2012). Think tanks in America. Chicago: The University of Chicago Press. Nisbet, R. (1952). Conservatism and sociology. American Journal of Sociology, 58 (2), 167-175. Nisbet, R. (2006). “Muhafazakarlık.” Bottomore, T. & Nisbet, R. (Der.). 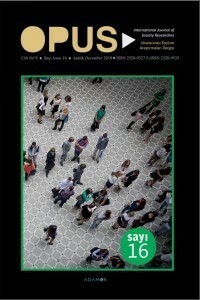 Sosyolojik çözümlemenin tarihi-1. in (ss: 105-142). İstanbul: Kırmızı Yayınları. Oakeshott, M. (1991). “On Being Conservative.” Timothy Fuller (Ed.). Rationalism in politics. in (pp. 168-196). Indianapolis: Liberty Press. Swartz, D. (2013). Symbolic power, politics, and ıntellectuals: The political sociology of Pierre Bourdieu. Chicago: The University of Chicago Press. Wacquant, L. (1992). “Toward a Social Praxeology: The Structure and Logic of Bourdieu’s Sociology”. Bourdieu P. & Wacquant L. (Ed.). Invitation for a reflexive sociology. In (pp. 1-46), Cambridge: Polity Press. Wacquant, L. (2013). Symbolic power and group-making: on Pierre Bourdieu’s reframing of class. Journal of Classical Sociology, 13 (2), 274-291. Wacquant, L. (1993). From ruling class to field of power: An interview with Pierre Bourdieu on La noblesse d’État. Theory, Culture & Society, 10(3), 19-44. Wacquant, L. & Akçaoğlu, A. (2017). Practice and symbolic power in Pierre Bourdieu: The view From Berkeley. Journal of Classical Sociology 17(1), 37-51.